An excellent capture of the flower and butterfly. Superb color, detail and DOF. Congrats on your duel awards. all the very best my friend, art,. Yes, this is an outstanding capture...Gorgeous light, detail, and overall composition...A beauty, Ayan! 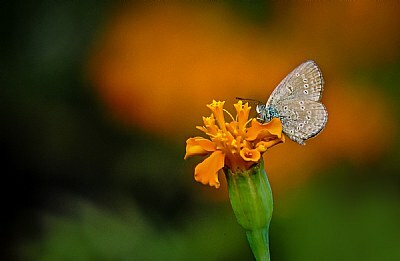 Superb capture Ayan of this delicate butterfly.One of summers beautiful sights.